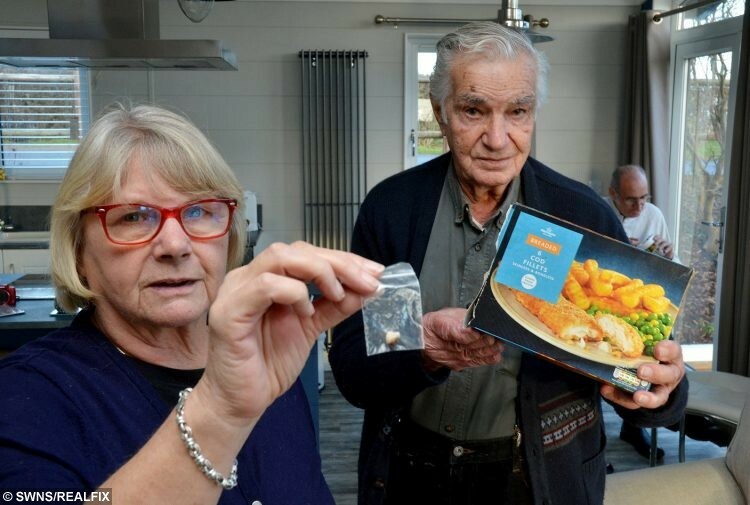 A pensioner says he was left disgusted after he chomped into a Morissons’ cod fillet he bought for his dinner – and started choking on a human TOOTH. Frank Banks, 94, made the grim discovery after he sat down for his evening meal with wife Christine, 69, last Wednesday (23/1). 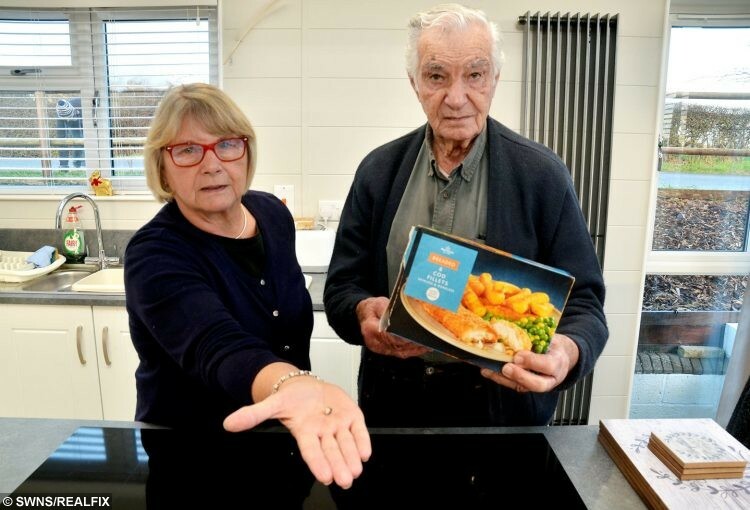 He started coughing after taking a few bites of the cod fillet in bread crumbs, which the couple had purchased for £4.40 from their local store in Pinchbeck, Lincs. 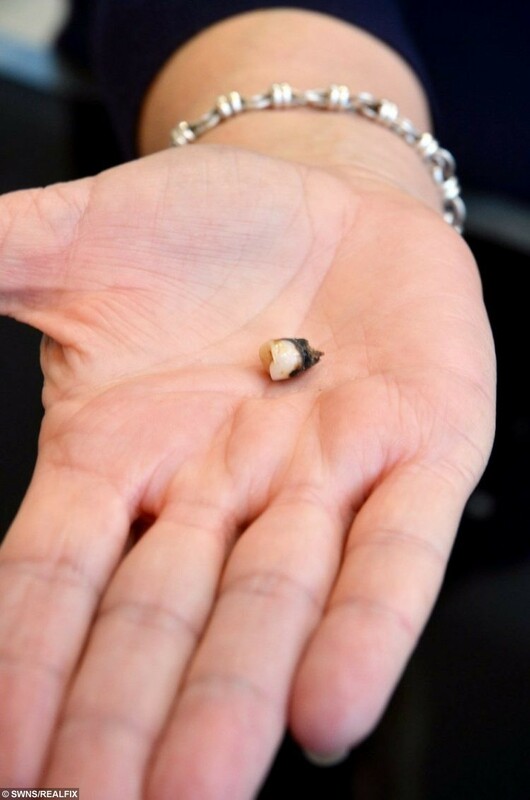 And the OAP was left fuming after making the stomach-churning discovery of what he is convinced was a human tooth. Frank, of Surfleet, Lincs., said: “I was having the fish with some new potatoes and peas and had just cut a piece off the end of it and was enjoying it. “It was hard and completely black. I took it and washed it in bleach and scrubbed it to see what it was. I couldn’t believe it was a tooth. “I knew it wasn’t one of my teeth because mine are false. “I washed my mouth out with disinfectant afterwards. I did not want to take any chances. You just don’t know where it has come from. 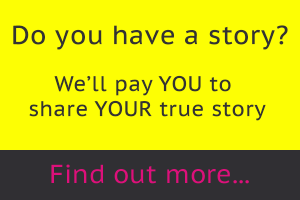 “You don’t know whether it was from when the fish was packed or was in the bread crumbs. Christine, who shops regularly at the store where she bought the frozen fish, packaged up the tooth and took it straight back to the store. Morrisons has sent the tooth for testing and the couple have been given a £10 voucher and refunded the cost of the fish while the investigation gets under way. Christine said: “I’d bought the fish on Tuesday, the day before, and put it in the freezer. “We were going to have toad in the hole but decided to cook the fish instead. “Frank started choking. I patted him on the back and he spat it out onto the table. A Morrisons spokesperson said “We are waiting to receive the item the customer found.